Innovative new design, maintains close tolerances between parts and extends cutting blade life, lasting typically five times longer than competitive models. PSC-1.5 COMPACT PNEUMATIC STOCK CUTTER. 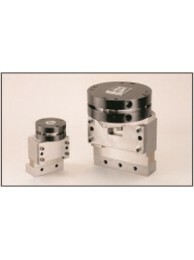 Maintenance Free Compact Pneumatic Stock Cutter. Innovative ..
PSC-3 COMPACT PNEUMATIC STOCK CUTTER. Maintenance Free Compact Pneumatic Stock Cutter. Innovative ne..
PSC-3X COMPACT PNEUMATIC STOCK CUTTER. Maintenance Free Compact Pneumatic Stock Cutter. Innovative n..
PSC-5 COMPACT PNEUMATIC STOCK CUTTER. Maintenance Free Compact Pneumatic Stock Cutter. Innovative ne..
PSC-7 COMPACT PNEUMATIC STOCK CUTTER. Maintenance Free Compact Pneumatic Stock Cutter. Innovative ne..